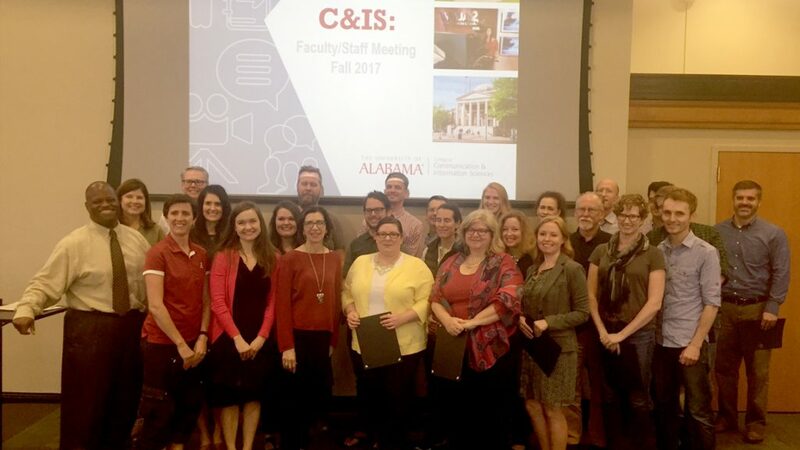 This fall, C&IS certified 27 faculty and staff members as diversity advocates, through a diversity training program developed by Dr. George Daniels in consultation with C&IS administrators. This training equips them to serve on hiring committees to ensure that the committee is attentive to the College’s desire to attract an applicant pool consistent with its educational mission. The plan called for each faculty search committee to have a member who acts as a diversity advocate. The C&IS diversity plan aligns strategically with the larger, University-wide diversity initiatives. This past June, The University selected Dr. G. Christine Taylor as its first vice president and associate provost for diversity, equity and inclusion. Taylor attended C&IS’ diversity advocate training and even spoke to our faculty on the importance of their leadership. In addition to hearing Taylor speak, the trainees also completed a simulation with representatives from The Crossroads Community Center and participated in sessions with University Counsel and a panel of University administrators involved with search committees. Diversity advocates also received a resource binder with important handouts that can be used as a reference.